Michael Feinstein, The Ambassador of The Great American Songbook, has built a dazzling career over the last three decades, bringing beloved American standards to the world. From recordings that have earned him five Grammy Award nominations, to his Emmy nominated PBS-TV specials, his acclaimed NPR series, and concerts spanning the globe–– including iconic venues such as The White House, Buckingham Palace, Hollywood Bowl, Carnegie Hall and Sydney Opera House –– define Feinstein as one of the most important musical forces of our time. See The Michael Feinstein Trio at The Ridgefield Playhouse on Wednesday, April 17 at 8pm, part of the Ridgefield Magazine Broadway & Cabaret Series. Visit GALLO (5 Grove St, Ridgefield) for dinner before the show and get a free glass of house wine with your entrée when you present your tickets! Media partner for this event is WNPR, Connecticut Public Broadcasting. Michael Feinstein has released more than 30 albums over the course of his career, interpreting the songs of George Gershwin, Frank Sinatra, Jimmy Webb, Julie Styne, Andre Previn, Irving Berlin and other great songwriters. His Emmy Award-nominated TV special “Michael Feinstein – The Sinatra Legacy” aired across the country in 2011. 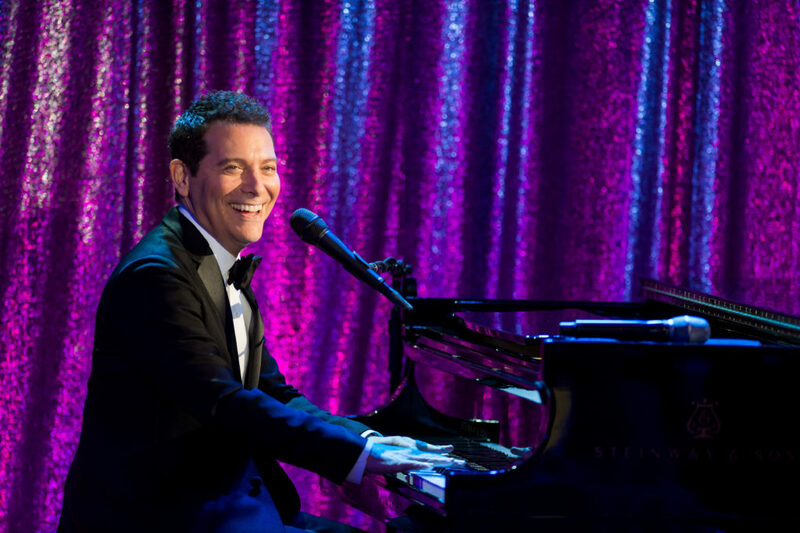 The PBS series “Michael Feinstein’s American Songbook,” the recipient of the ASCAP Deems-Taylor Television Broadcast Award, was broadcast for three seasons and is available on DVD. His most recent primetime PBS-TV Special, “New Year’s Eve at The Rainbow Room” aired in 2014. For his nationally syndicated public radio program “Song Travels,” Michael interviews and performs alongside of music luminaries such as Bette Midler, Neil Sedaka, Liza Minnelli, Rickie Lee Jones, David Hyde Pierce and more. Through his live performances, recordings, film and television appearances, and his songwriting (in collaboration with Alan and Marilyn Bergman, Lindy Robbins and Carole Bayer Sager), Feinstein is an all-star force in American music. In 2007 Feinstein founded the Great American Songbook Foundation, dedicated to celebrating the art form and preserving it through educational programs, Master Classes, and the annual High School Songbook Academy. This summer intensive open to students from across the country has produced graduates who have gone on to record acclaimed albums and appear on television programs such as NBC’s “America’s Got Talent.” Michael serves on the Library of Congress’ National Recording Preservation Board, an organization dedicated to ensuring the survival, conservation and increased public availability of America’s sound recording heritage.